Now on sale for only $3.75 at our outlet store! 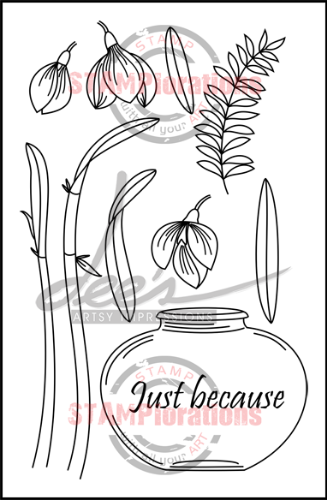 CLICK HERE to buy this stamp from our other store. ONE (1) package of JUST BECAUSE clear stamp set in the Dee's Artsy Impressions line. There are 11 pieces of clear stamps in the package. This stamp set is in a backing sheet packaged in a 4" by 6" resealable hang hole cello bag. For your reference, the jar stamp is approximately 2.5" wide and 2" tall.